This large custom home of about 3500 S.F. includes a spacious kitchen, breakfast and dining rooms, seperate media and living rooms and a first floor master suite. 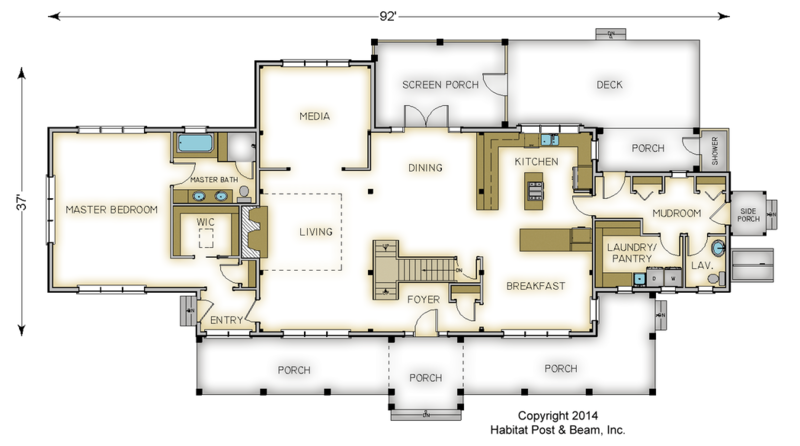 The upper level has a large loft overlooking the living room, 2 bedrooms and 2 baths. 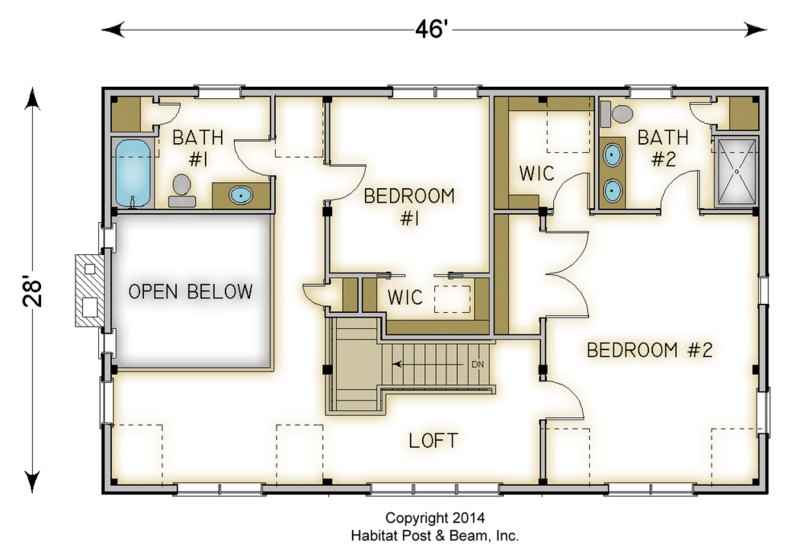 One bedroom has it's own private bathroom and could be labeled a secondary master suite. 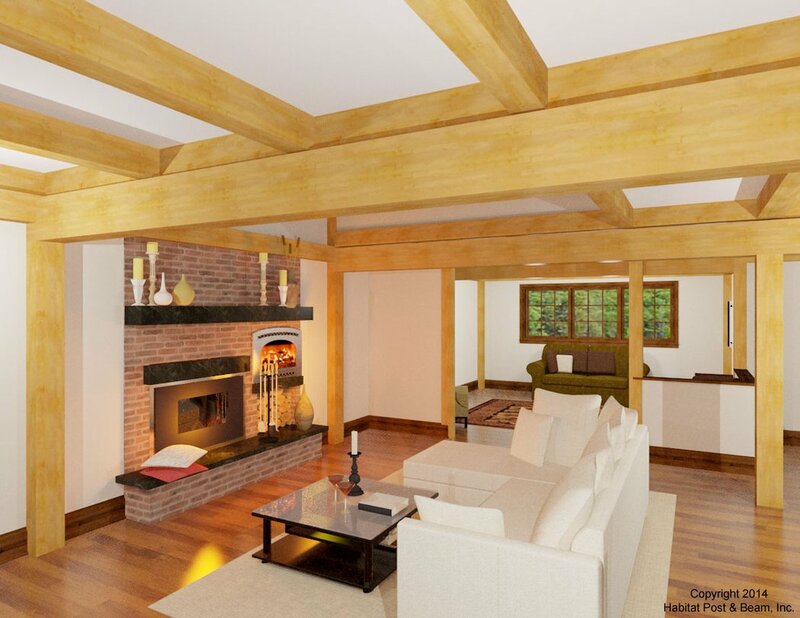 Package Price: $288,000 as specified below (from $255,000 to $328,500 depending on framing options). 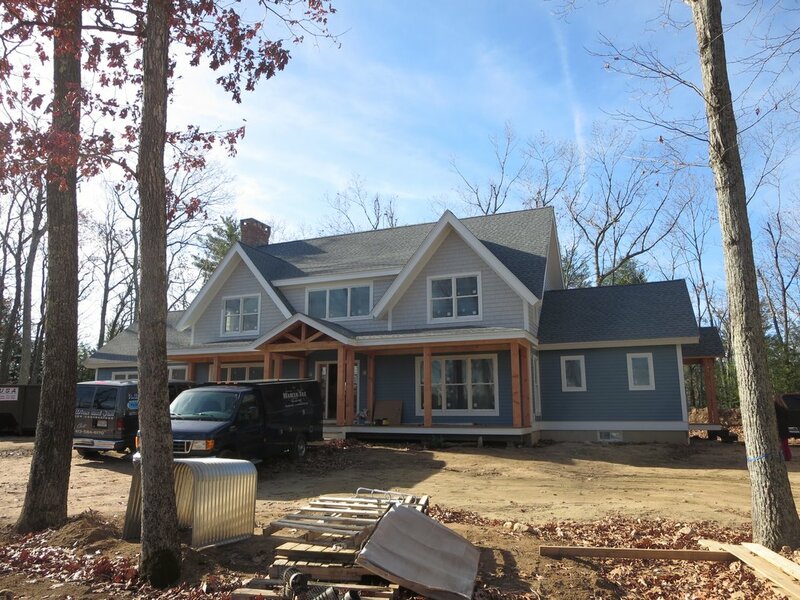 The standard price includes our Full Exposure Wall System, Plaster and Beam or Beamed Mid-Floor System (same package price), our Beamed Roof System over the living,loft, bedroom #1 and bath #2, and our Plaster and Accent Beam Roof System with flat ceilings over the remainder.